I’ve been trying very hard all week long to stay on track and have a good result at Weight Watchers when I get there this morning. 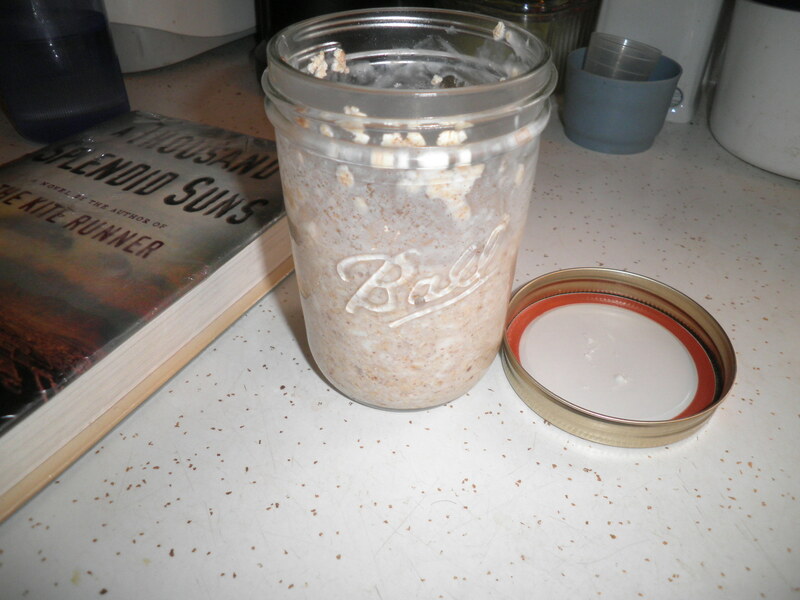 I made overnight oats in a jar (OOIAJ). Love it in my wide mouth jar! I did it a little different this time. 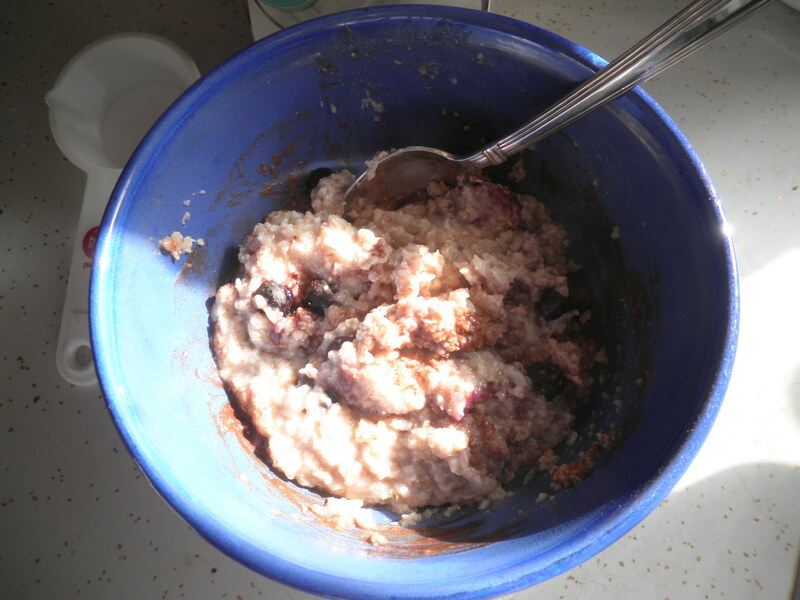 Half a cup of rolled oats, 1/3 of a cup of low-fat cottage cheese, 1/2 cup of almond milk, 1 Splenda and some cinnamon. I did warm it in the microwave and I think that added to the flavor. 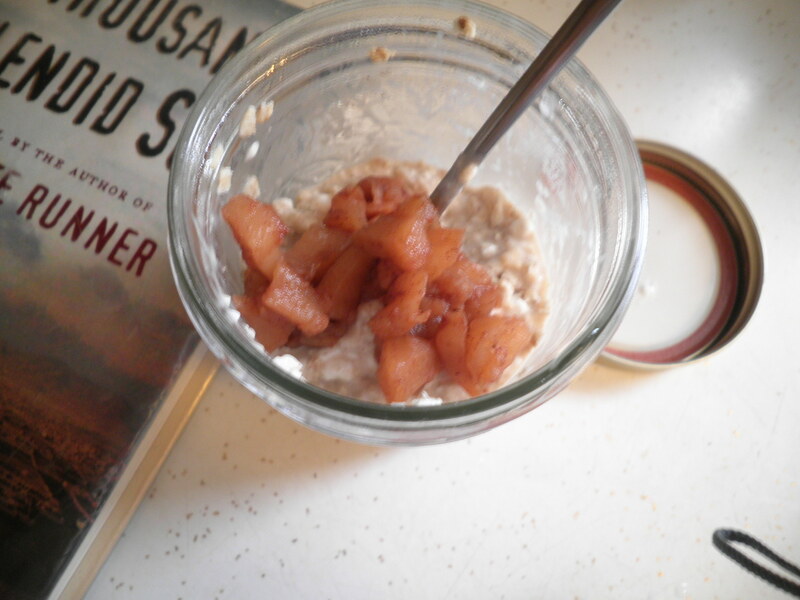 I topped it with some of the crock pot apples I made earlier in the week. I have to confess that last night I opened the container with what was left of the apples, added some fat-free vanilla yogurt and finished it off! I love them! I’m going to head to the produce market on Sunday to get some apples so I can make more. They are the perfect tasty treat! I’m so glad I made egg salad this week. I had tasty lunches all week, some on wraps and some just over lettuce. 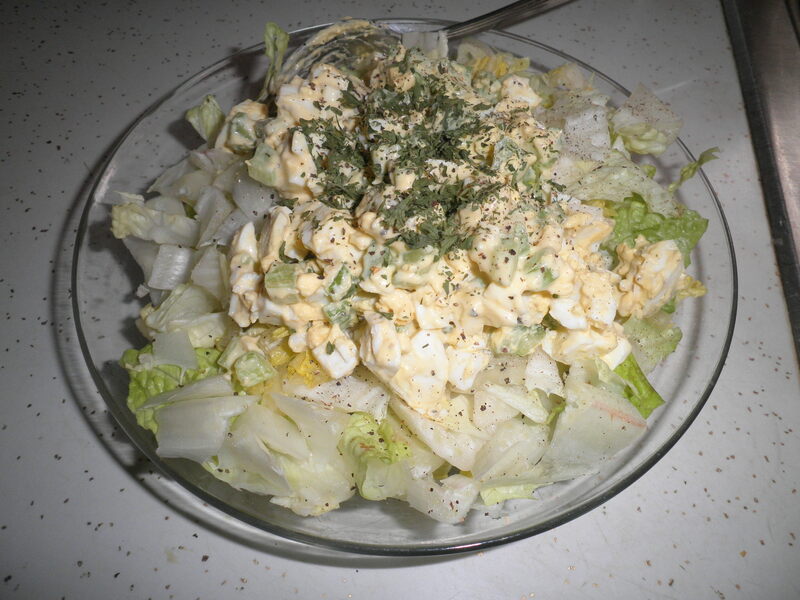 No dressing necessary, just mix the egg salad into the lettuce! 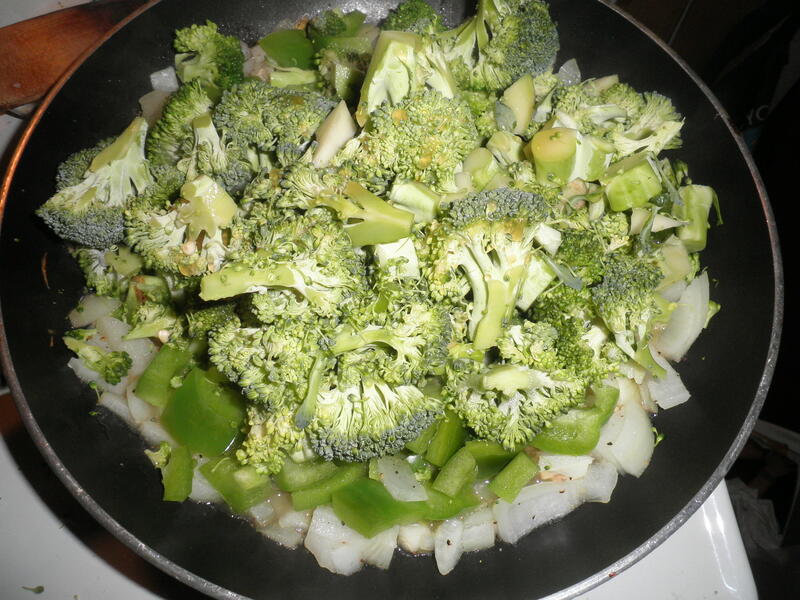 I made a very Green dinner…onion, garlic, green bell pepper, broccoli and spinach. Various seasonings…I need to be more mindful of what I add so that I can share with you. 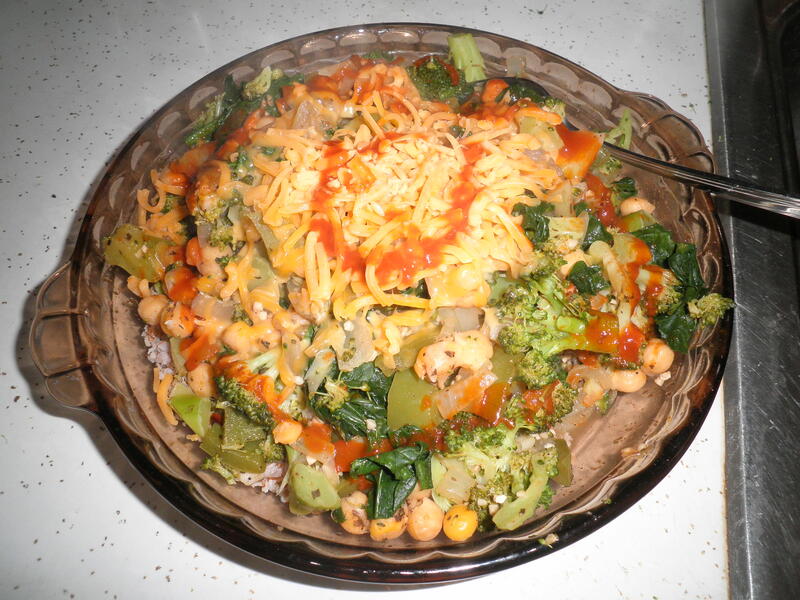 Forgot my garbanzo beans, of course…topped with shredded cheese and sriracha sauce. I have officially finished my first bottle of sriracha. I love it! With cinnamon, home frozen blueberries and almond milk. This batch was especially good! I think it’s been a good week and I’m expecting a good result. I’ve spent at least 30 minutes each morning on my exercise bike. I think I’ll be Ok! We couldn’t do the Rummage Sale without you! Oats are great in any form, glad we agree on breakfast, Eleanor! hope the rummage sale goes well – happy Saturday! Thanks, Val. They did well at the sale. We figure if we make enough to pay 1 bill for the church each month it’s worth it! Hope you’re feeling better.